The tiny plots of sand with a few pond trees that are the Maldives are the very caricature of a pirate island so the setting is complete. 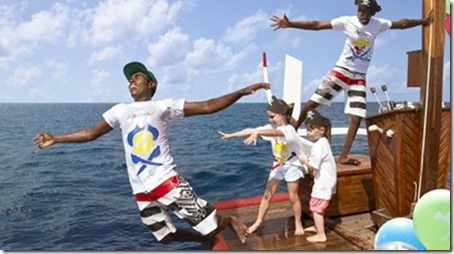 Every Wednesday is “Talk Like a Pirate Day’ on Reethi. Aaaarrrrgggghhhh! Heave ho all the scallywags to Davey Jones’ locker!